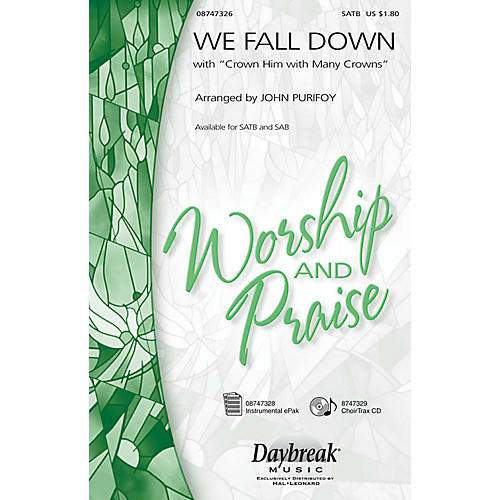 Based on Chris Tomlin's worship song We Fall Down, arranger John Purifoy has created a moving and heartfelt anthem. Paired with the traditional hymn Crown Him with Many Crowns, this work may be used during the Easter season, or throughout the church year.Available separately: SATB, SAB, Instrumental ePak and ChoirTrax CD. Duration: ca. 3:40.